The Competition Organizers and Advisors would like to thank the 2012 Cleveland Design Competition Partners. Without their support, the Cleveland Design Competition would not be possible. Competition Partners are recognized below. The Bridge Project is a community-driven effort to re-open the lower level of the Detroit-Superior Bridge for year-round use as a public space, performance venue, and bicycle/pedestrian connection. 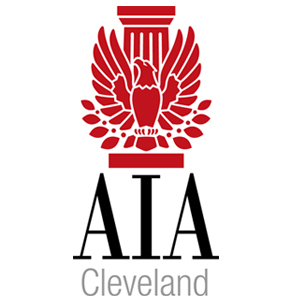 A planning study, co-sponsored by the City of Cleveland and Cuyahoga County Engineer’s Office, is underway with a $75,000 grant through the Northeast Ohio Areawide Coordinating Agency’s Transportation for Liveable Communities Initiative and a $20,000 grant from the National Endowment for the Arts. The TLCI planning study will focus on the lower level of the Detroit Superior Bridge and its potential to provide a sheltered connection for pedestrians and bicyclists between Public Square, the Flats, and the city’s west side neighborhoods. 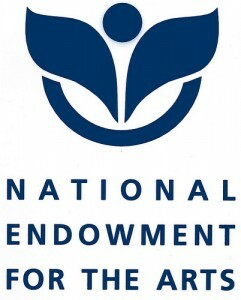 National Endowment for the Arts, an independent federal agency supporting artists and arts organizations and bringing the arts to all Americans. The CUDC’s professional staff of designers are committed to improving the quality of urban spaces through technical design assistance, research and advocacy. Supported by the Ohio Board of Regents’ Urban University Program, the university and private philanthropy, the CUDC offers architectural and urban design exptertise in the service of urban communities, design professionals, and non-profit and academic partners in Cleveland and Northeast Ohio. The Historic Warehouse District is Cleveland’s first neighborhood and downtown’s oldest commercial center. The Historic Warehouse District features an exciting variety of residential, commercial and entertainment-oriented venues—mixing our rich history with today’s exciting new developments. One of Cleveland’s oldest neighborhoods, and perhaps its most ethnically diverse, is Ohio City, a culturally rich community located just across the Cuyahoga River from downtown Cleveland. Ohio City is a welcoming place but it has a uniquely gritty, hard working spirit that is reflective of its inhabitants since its founding. In Ohio City we still do things the hard way because its the right way. It is a neighborhood of strength, tradition and quality. Chock-full of historic homes, commercial buildings, new condos and townhouses, and home to over 150 artisan businesses, Ohio City is Cleveland’s Artisan Neighborhood.